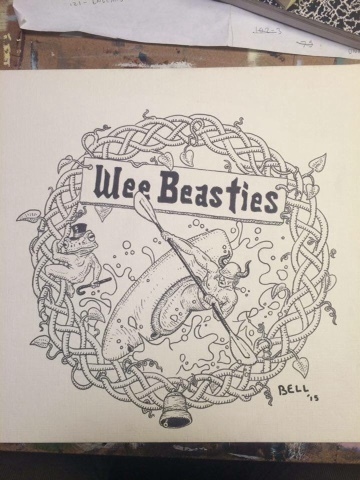 HIGHLIGHT PADDLING MEDIA ~ Artist Hunter Bell and WEE BEASTIES. | DBP MAGAZINE ONLINE The World's Best Free Whitewater Publication. 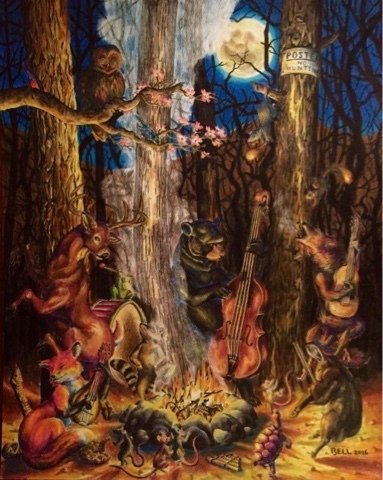 HIGHLIGHT PADDLING MEDIA ~ Artist Hunter Bell and WEE BEASTIES. 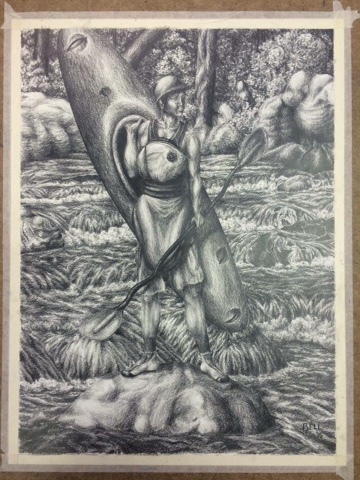 Hunter is a talented young artist and paddler who first came to the attention of Dirt Bag Paddlers after a friend posted about him on our Facebook page. 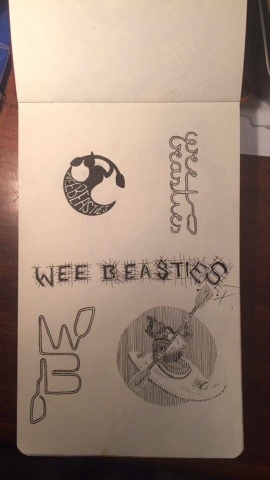 We asked Hunter to tell us a bit about his artwork and affiliation with Wee Beasties. “Six months ago I was preparing to begin my freshman year at the College of William and Mary. Somehow, after a drastic paradigm shift, I now find myself pursuing my dreams of becoming a professional artist. No one knows better than I do how difficult it will be; but, as a whitewater kayaker, hardships are by no means foreign to me, and I’m willing to take on the challenge. 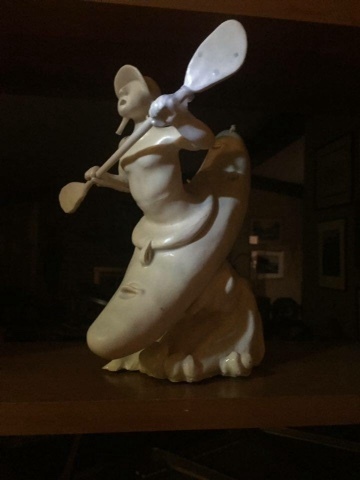 Among many of my passions, I’ve found the world of paddling to be incredibly under-represented artistically, but it’s my mission to change that. In Nealy-esque fashion, I attempt to develop my art with a witty –sometimes not-so-witty– humorous tone, because I know my audience: river rats love a good laugh. 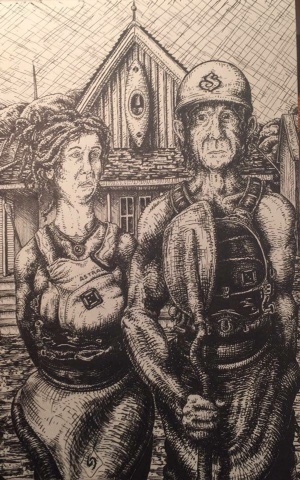 Pieces like ceramic “Club Boater” and pen and ink “American Paddler” respectively achieve just that. 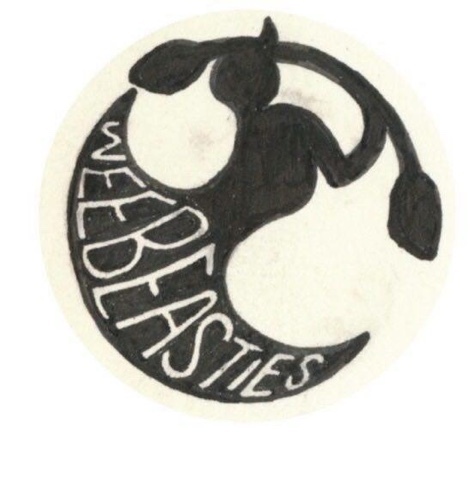 With logo design and animation I have worked to promote the unofficial film production company of mine and friends’, Wee Beasties, which has evolved from choppy GoPro videos to some pretty intriguing short films. 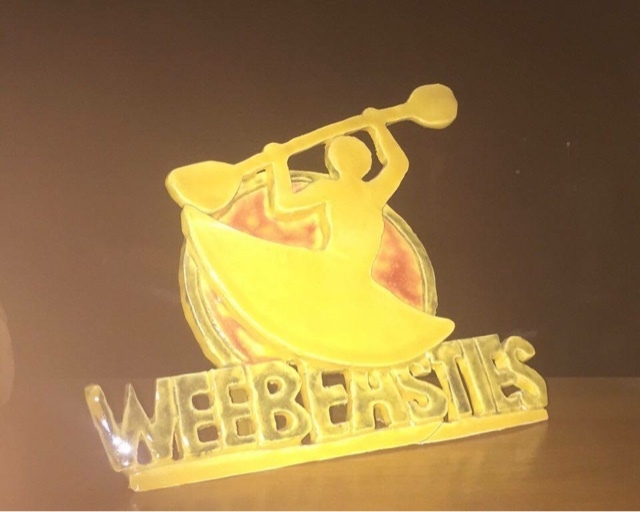 Originally the name we gave ourselves when we first got into paddling at the beginning of highschool, Wee Beasties has chronicled the adventures of my closest friends and I down the east coast. We even go international this year with Alex Bentley in Ecuador, a film that is set to be released very soon. Future plans for Wee Beasties include documentaries of my planned trek through Europe this spring and subsequent month of minimalist camping, living off the land in the wilderness of the Appalachia. Nonetheless, we will always return to our roots with even better kayaking edits still to come, so stay tuned! However, my imagination soars far beyond simply the subject of whitewater sport as I express myself in all aspects of craft. Here are just a few of my other creations. 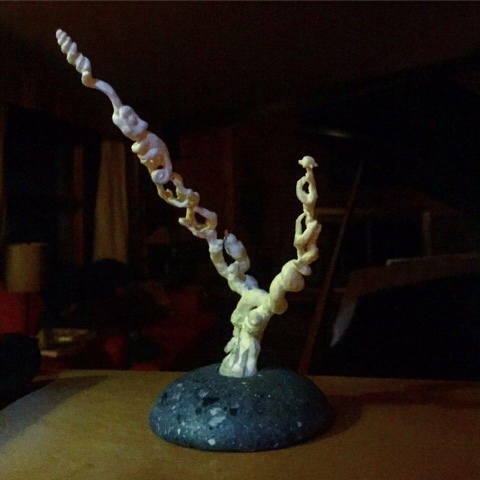 “Reptile Tree” is an antler carving set in a concrete base, and captures the rugged, rusticity of my personality. My love for nature is highlighted by this colored pencil drawing, “Winter is Over”. 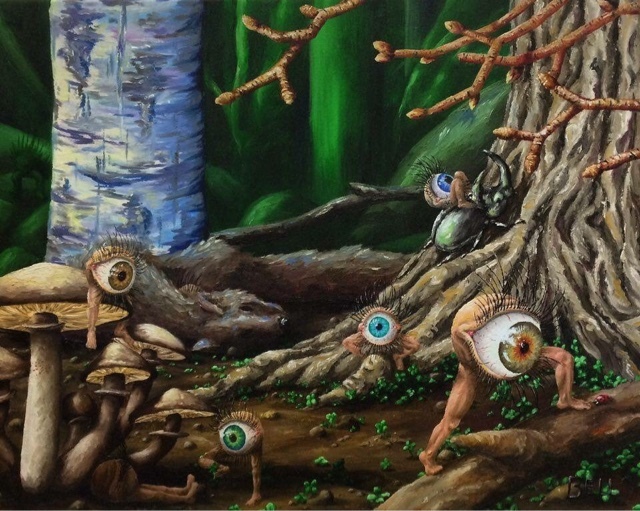 “The Nature of Creativity” is an oil on canvas, and… well this piece might just speak for itself. 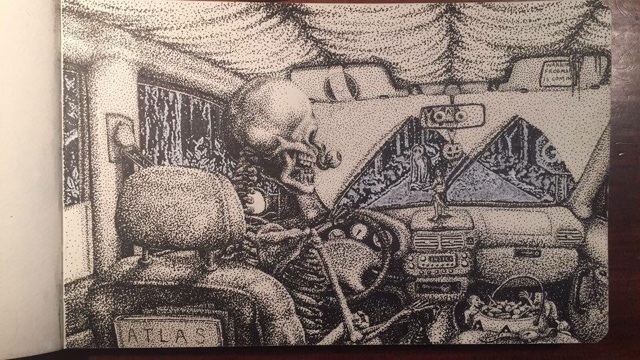 And here’s a stippling pen and ink from my sketchbook as well. Hunters Wee beasties are fun and fanciful! Keep them coming !